Around 600 BC the Greeks expanded their knowledge of the land to make viticulture flourish in southern Gaul. 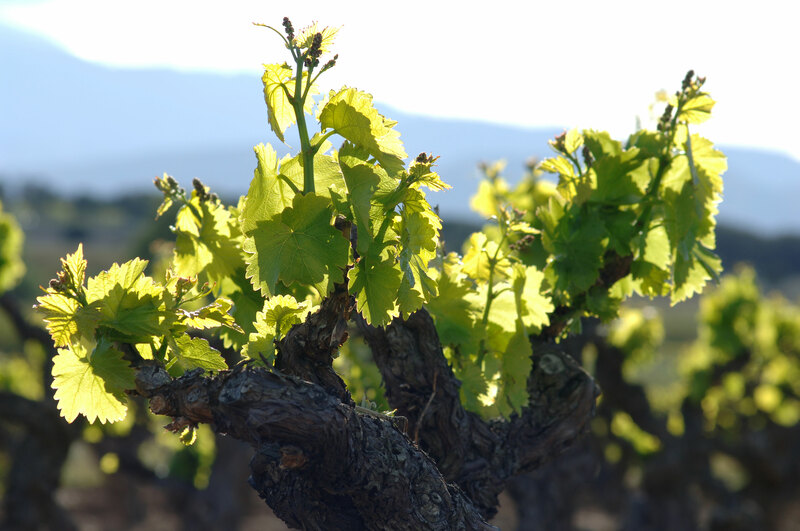 Thanks to its excellent climate, a mixture between continental and Mediterranean, and the richness and variety of the terrain, known as” terroir “, the Roussillon became a large vineyard whose quality has continued to increase and improve year after year. The wine cultivation spread along the ancient Via Domitia, the Roman road that ran from the current Italy to Hispania. 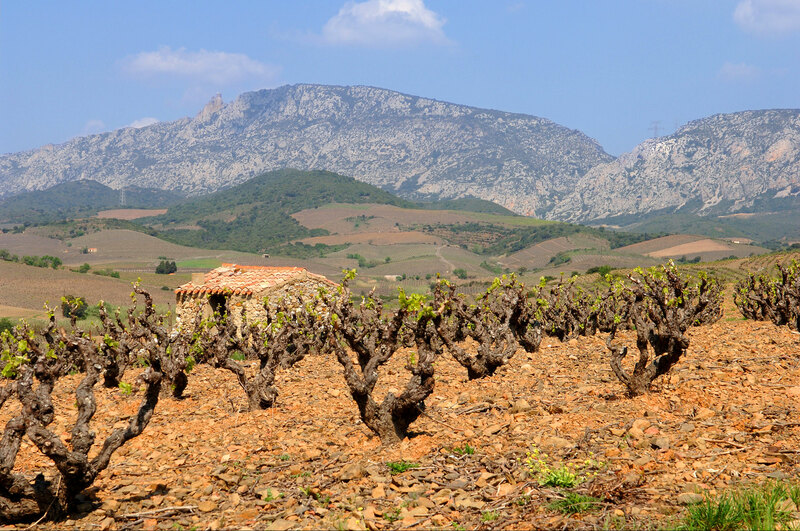 With 14 AOP and 3 IGP, mainly from 25 different grape varieties, the wines of Roussillon are of great richness, each expressing a character of its own. The varieties of Grenache grown in this region are: Blanc (White), Noir (Red), Lladoner Pelut (Hairy) and Gris (Grey). The Rousillon is the French hope in terms of winemaking, since, due to its development and potential, it is responsible for the largest wine production in the country, above areas of great name such as Burgundy and Bordeaux. It borders the Mediterranean Sea to the Spanish border. 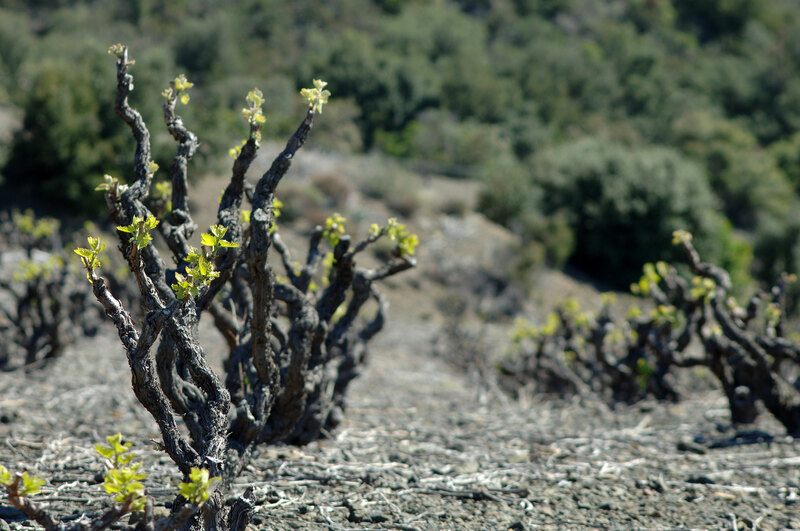 Between the sea and the mountains, Roussillon offers the vine an environment of drought, heat and exceptional terroirs. Its soils are very diverse: limestone, clay, shale, gneiss, granite. The cultivation of the vine is mainly done on narrow terraces. The AOP Banyuls vineyard is 2500 acres large and covers 4 villages : Collioure, Port-Vendres, Banyuls et Cerbère, situated in the Eastern Pyrenees at the extreme East of the Pyrenees chain. This appellation covers 1,150 hectares and produces around 25,700 hectoliters of wine per year. The varieties of Grenache grown in this region are: Noir (Red), Blanc (White) and Gris (Grey). The vines are established on steep slopes with narrow terraces retained by low walls, facing the sea, where it is sometimes necessary to use mule or cable car to transport the harvest. This appellation is located in a climatic zone of the Mediterranean type, which gives the vineyard exceptional conditions of development and maturation of the grapes. The mention “Grand Cru” is only reserved for Banyuls red wines. The wine is aged in oak barrels which gives it subtle aromas of cooked fruit, mocha, tobacco, vanilla, roasting. Banyuls Grand Cru can have mentions “Dry”, “Sec” or “Brut” denomination authorised if residual sugars are ≥ 54g/l. The wines must be kept on wood in oxidizing environment for 30 months minimum. Sauteed Foie gras with apple. Melon soup with ham shavings. Cured cheese toast with apple and dehydrated tomatoes. Chicken stuffed with bacon, plums and walnuts with chestnut sauce. 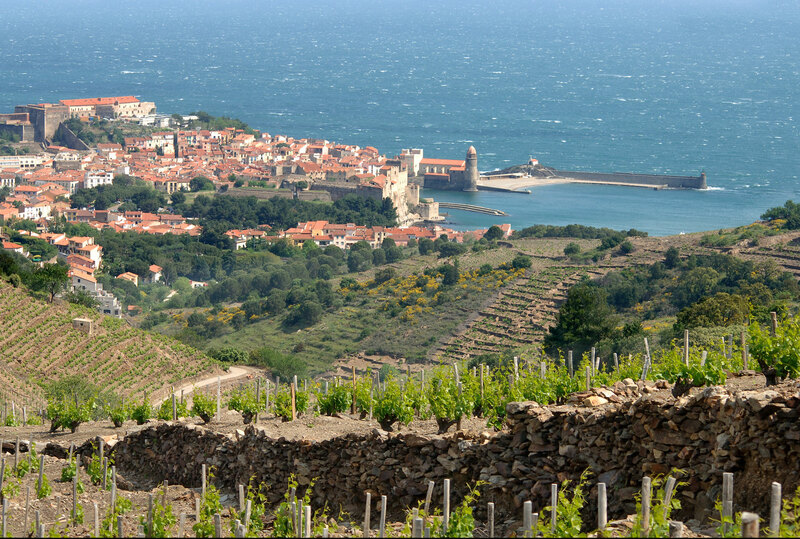 Planted between the Mediterranean Sea and the Pyrénées mountains, this small vineyard of about 1000 acres, gathers the villages of Collioure, Port-Vendres, Banyuls-sur-Mer and Cerbère. 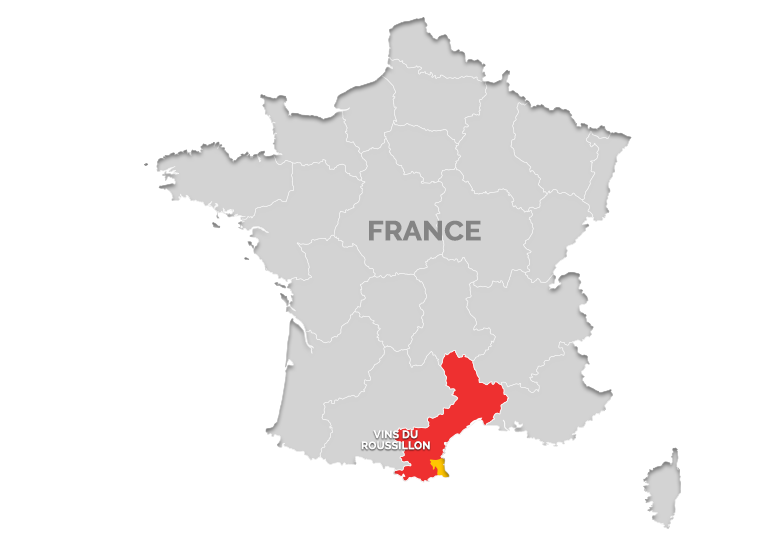 This appellation produces around 19,000 hectoliters of wine a year, declined in reds and rosés (2/3 of red). Since 2002, the Collioure AOC white is also recognized. AOP Collioure wines can be White, Rosé or Red, made with at least 2 grape varieties. The vines grow on a balcony of grey schist from the primary (Cambrian) era that overlooks the Mediterranean. Ravines and hills alternate with each other, and the vines are established on very narrow terraces. The combination of these unique soils, intense sunlight and the sea makes for a very special micro-climate for this Appellation. 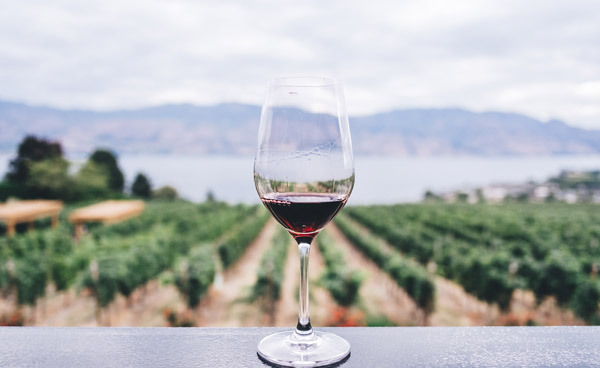 The Collioure red wines have a range from ample, fresh and fruity wines with aromas of spice and ripe fruit, to which the red Grenache brings power and warmth. The rosé Collioure are fresh and strong wines with notes of red fruits and minerals. The white Collioure are rich wines intense, still little used, must be composed of 70% Grenache Blanc and Grenache Gris. Grenache gris structures these wines with aromas of dried fruit, while Grenache blanc suggests finer and aniseed notes, which explains the richness and intensity of this recent area. Carpaccio of tuna and pink grapefruit with sweet spices. Creamy rice with fennel and lemon. IGP Côte Vermeille takes its name from the rocky coast of Pyrénées-Orientales with the same name, its wines are produced in Banyuls-sur-Mer, Cerbère, Collioure, Port-Vendres on a vineyard of about 30 acres. It begins south of Argeles sur Mer and ends near the Spanish border of Port Bou. The varieties of Grenache grown in this region are: Noir (Red), Blanc (White). 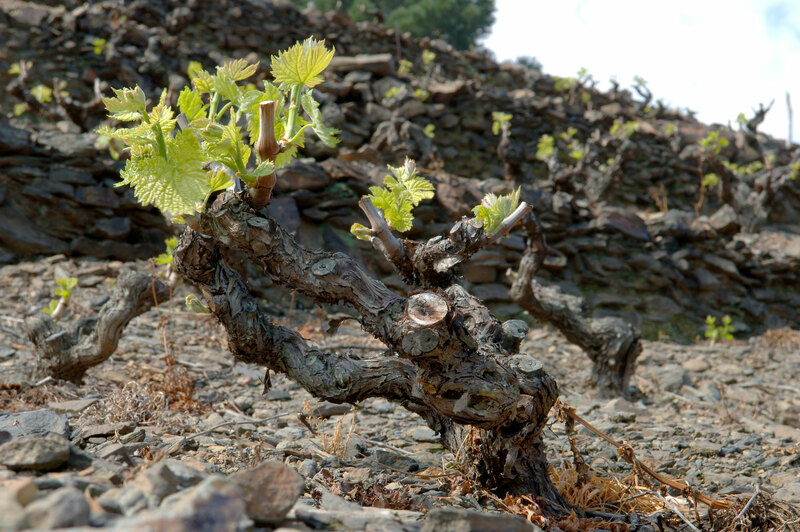 The vineyards on the slopes among the rocky creeks are located in the schistous stone formation, grey schist of the Cambrian period, and descend towards the Mediterranean. They apply ancestral techniques of vine separation by stone walls, limiting this way soil erosion. IGP Cote Vermeille produce red, white and rosé wine. Reds are light, easy-to-drink wines, rosés are fresh wines light on the palate and whites are full, light wines. As the wines of the IGP Côtes Catalanes, the ones carrying the mention “rancio”, white or red at the start, end up in time, with a dark amber colour, sometimes walnut-coloured with bronze accents, and offer typical notes of dried fruit (nuts, almonds, etc.). Broad beans, garlic & feta bruschetta. Potato, bacon and raclette skillet gratin. 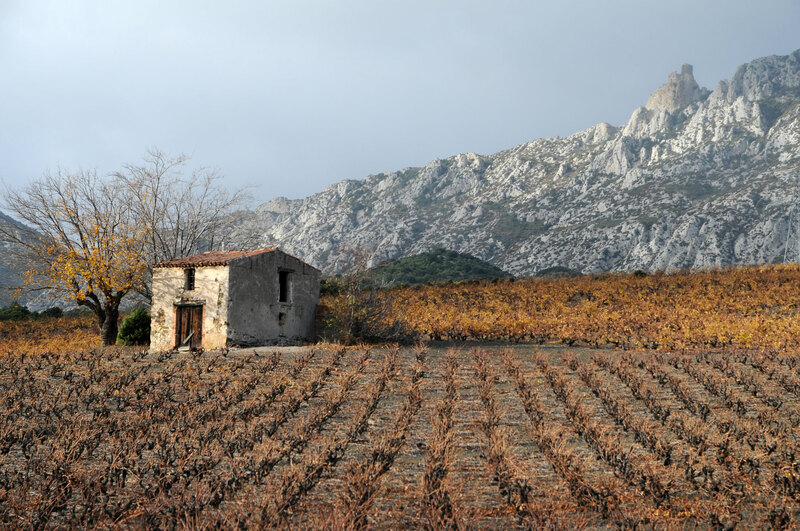 IGP Côtes Catalanes extend from Barcarès to Cerbère on the Roussillon coast, the produced wine is from about 1000 acres of vines planted in 118 communes in the department of the Eastern Pyrenees. The wine from the Catalan coast belongs to one of the largest wine producing areas in the world, belonging to Roussillon wine productions. IGP Côtes Catalanes grow all over the Eastern Pyrenees, more sandy than the south coast, the soil reveals grape varieties reminiscent of garrigue fruits and spices. White, rosé and red wines maturation at least until 1 March of the year following the harvest for wines matured in an oxidizing environment. White, rosé and red wines with the mention “rancio” should be obtained from white and black Grenaches. Matured by oxidation at least until 31 August of the 5th year after the harvest. The red wines from the IGP Côtes Catalanes are light, drinkable or full-bodied strong wines, they often fully reflect the main characteristics of the grapes from which they come. Rosés are fresh wines with echoes of small red fruit and flowers. And the white wines are light and delicate or concentrated wines, their flavor, richness and structure generally reflect the varietals used to make them. Beetroot, carrot & orange salad. Goat’s cheese & caramelised onion frittata. In 2003 The Côtes du Roussillon Les Apres were granted an AOP. The wines on this region are produced in 37 communes of Aspres and Albères from selected parcels, and the vineyards spans over 118 communes in the Eastern Pyrenees and covers 12 000 acres. It is a vast land limited on the by the Mediterranean on the east, by the Albères mountain range and Spain on the South, the foothills of the Canigou on the West and the Corbières on the North. There are three rivers that cross this area – the Agly, the Têt and the Tech – that supply water to the vineyards and have carved the land into hills and stacked terraces. 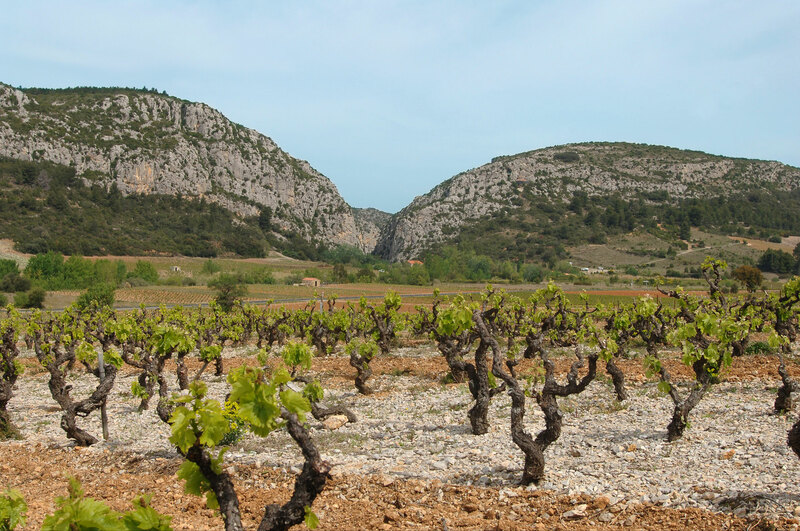 The wines from Côtes du Roussillon les Aspres are produced from selected parcels of land with fine, gravel soils in altitudes from 0 to 250 meters. In the Fenouillèdes mountain range to the NorthWest the parcels are sandy granite and gneiss, with dark schist. Red clay limestone in the Corbières foothills, sandy clay conglomerate in the Aspres and rocky terraces along the rivers, gneiss and siliceous clay hillsides of the Albères. The Mediterranean climate present in the region is an ideal climate for the development of the vine. Côtes du Roussillon produce three different kind of wine. Côtes du Roussillon Whites are delicate and elegant wines, with notes of citrus, white-fleshed fruit and flowers. Rosés are wines with fresh flavors, echoes of small, red fruit and flowers, and Reds are wines that are corpulent, fruity and spicy. The Côtes du Roussillon Les Aspres are elegant wines with wild and spicy notes that age very well. Peach and Goat Cheese Tartine. Beef stewed in red wine with bacon, mushrooms and onions. Sole fish fillets cooked in butter sauce. Clinging to the steep Northern slopes of the hills, forming the higher rows of the amphitheater and stretching along the winding Agly river, the 4300-acre vineyards cover 32 communes, including Latour de France, Caramany, Lesquerde and Tautavel. Côtes-du-roussillon villages is a wine of controlled AOP on part of the Roussillon plain, in the Fenouillèdes and on the southern foothills of the Corbières massif. The varieties of Grenache grown in this region are: Noir (Red), Lladoner Pelut(Hairy). Côtes du Roussillon Villages produce Red wines only. In this area the altitude is between 100 and 400 meters and the terrains are composed by granitic and gneissic sandy soil, brown and black schist in the Fenouillèdes mountains in the North-Western part of the department. In the foothills of the Corbières there are red clay-limestone soil and limestone, and rocky terraces on the left bank of the Têt. The distance from the sea and the altitude slightly mitigate the typical Mediterranean climate of Roussillon. The wines from the Côtes du Roussillon Villages are powerful and complex wines, suitable for ageing. At the palete they have delicate tannins, enveloped by a savory creaminess with an intense and complex smell, the nose evokes the grilled fruit, the old boy’s jam, and reveals vanilla touches. It is recomended its consumption at 13-15ºC. Lyonnaise Salad with Sausage and Walnuts. Fromage Blanc Spread (Cervelle de Canut). Lamb with beans and artichokes. The AOP Maury covers mainly the terroirs of the commune of Maury, as well as a part of the neighboring communes located north of the valley of Agly. It represent a natural corridor covering 17 km in length and 4 km in width plus some plots on different villages : Maury, Saint-Paul de Fenouillet, Tautavel and Rasiguères. The vineyard is about 800 acres and produces about 7,000 hectoliters a year, made only on low-yielding terroirs to obtain the sweetness and sugar specific of the Vins Doux Naturels (Fortified Sweet Wines). The vineyard of the AOP Maury spreads on hills of black marl and black shale and black soil (Aptian schist, metamorphic and often decomposed), which restores the heat stored under the Mediterranean sun at night, and allows the grapes to be very rich in sugar. The AOP Maury produces several types of wines: Maury red and white, Maury Grenat, Tuilé, Ambré, Hors d’Age and Rancio. These wines are defined as colorful with aromas of sour cherries and red berries for the youngest wines. Prunes, candied fruits and dried fruits for the oldest and finally cocoa, coffee and nuts for old wines. Cheese rolls, with dates and bacon. Piquillo peppers stuffed with mushrooms, cheese and rosemary. Blue cheese and nuts canapes. Toast bread with cured meat and foie gras accompanied by apple compote. Iberian sirloin in chocolate sauce. Chicken strips spiced with hummus. Veal steak with roquefort and pepper sauce. Originally reserved for natural sweet wines, the Maury appellation was created with the 2011 harvest for dry wines produced from the same terroir (Maury, Tautavel, Saint-Paul and Rasiguères municipalities). 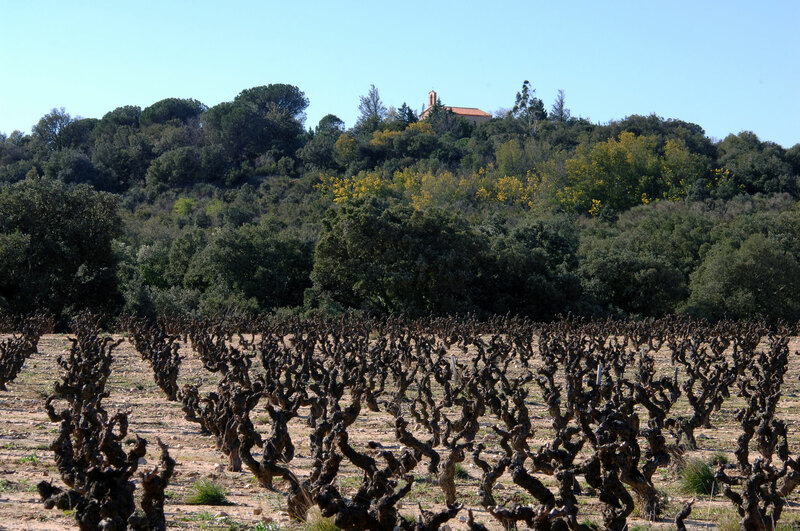 The vine growers of this appellation area previously offered their dry wines to the AOP Côtes du Roussillon Villages. Red Grenache, emblematic of this region, ranges from 60% minimum (and 80% maximum) in their wine blends. The wines benefit from a breeding of at least six months. AOP Maury Sec produce exclusively red wines, hte composition of those are mainly produced from Red Grenache (2 varietals at least). The Hairy Grenache more rarely enters in the composition of these wines. The Maury vineyard spreads across hills of schist and black marl on slopes encircled by garrigue, which restores the heat stored under the Mediterranean sun at night, which allows the grapes to be very rich in sugar. The wines from the AOP Maury Sec are defined as dark, rich, strong and very flavorful, with aromas of dark fruit combined with garrigue. They are distinguished in the mouth by their full body and tannin robe encouraged by a minimal period of maturation. Good structure and balance ensure very good ageing. The red wines have a very beautiful dark garnet color that tends towards mahogany with time. Bruschetta with tomato and basil. Smoked venison with melon salad. Roast grouse with blackcurrant & beetroot sauce. Beef shin ragu with creamy polenta. The wines from the vineyard of Rivesaltes are diversified, they are natural sweet wines, that is to say they are transfered a little after the start of the fermentation, it allows to preserve the sugar naturally present in the grapes, but also to preserve the aromas of the grapes. You can find different categories of wines in Rivesaltes that depend mainly on breeding techniques. Whether garnet, rosé, amber or tawny colored, they naturally stand out with their strength and character. The appellation cover a 4000-acre vineyard that produces around 127,000 hectoliters a year, and spans over 86 communes in the Eastern Pyrenees and 9 in the Aude department on the border with the Eastern Pyrenees. The Aude also borders on the Mediterranean to the East, the Albères range on the South and the foothills of the Canigou on the West. The territory of this AOP is crossed by three rivers, Agly, Tet and Tech, which drew a relief composed of stepped terraces and hills. 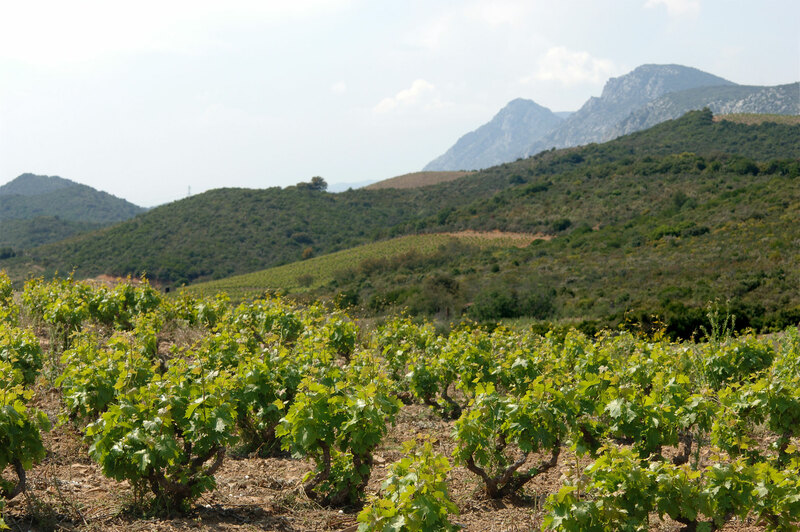 The vines grow on all the terroirs in Roussillon, including, among others: sandy granitic and gneissic soil, black and brown schist in the Fenouillèdes mountain range in the NorthWest, red limestone-clay and lime at the foothills of the Corbières, sandy clay, in the Aspres and rocky terraces along the rivers, gneiss and siliceous clay in the Albères. This variety of reliefs and soils explain the diversity of many terroirs that benefits from a Mediterranean climate. Garnet Rivesaltes wine is made from the Grenache grape which must be at least 75% present in their wine blends. The garnet is bottled in its youth. It is a full-bodied wine with a deep ruby color, very marked by aromas of red fruits such as cherries, blackcurrants, raspberries and blackberries. with this rich flavor It’s great to pair with chocolate desserts. It is a solid wine that can wait in cellar, the recomended temperature for servin is 15 ° C.
Beef carpaccio, chavignol crottin cheese with honey. Escarole salad with Crottin de Chavignol gratin cheese, caramelized pear and nuts. Pork tenderloin with roquefort sauce.